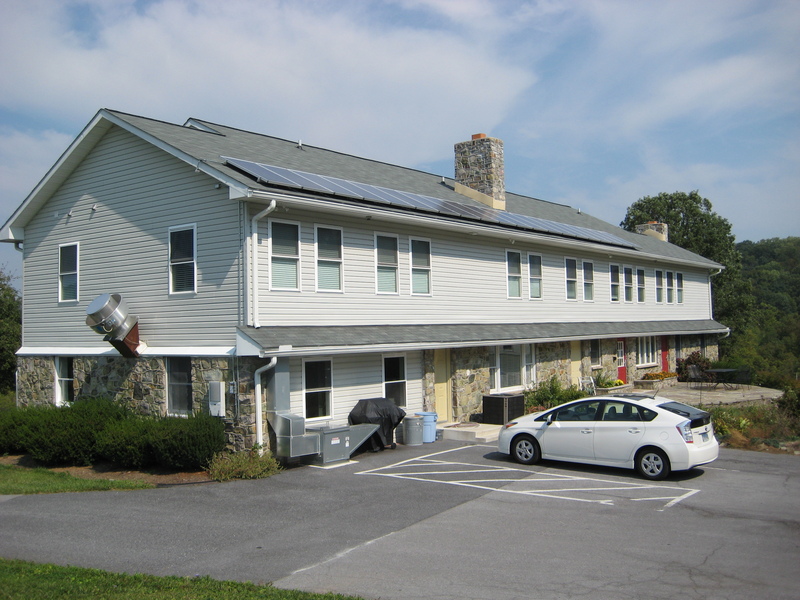 Visit Hope Alive, Inc. on the 2010 Western Maryland Solar Home Tour on Saturday October 2 from 11am to 5pm. Hope Alive, Inc. is a nonprofit Christian ministry called to embrace homeless women and their children with the life-changing love of God. In partnership with the community, we offer a transitional home and comprehensive support services to empower women and children with Christian values, dignity, and the skills they need to live self-sustaining lives filled with hope and a future. In April 2010, a collaboration of Glory Energy Solutions, BP Solar, Sustainable Energy Systems, LLC, and Crum Electric donated their time and materials to design, build, and commission the 5kW BP Solar energy system for Hope Alive and their residents. Visit Hope Alive house goes solar by the Frederick News Post for more background on the project and Solar homes tour set for this weekend by the Frederick News Post for more information on the Western Maryland Solar Tour.